Teaching Outside the Box – An active, engaging, and encouraging training for teachers this fall. Kendra Morgan of Building All Children is offering Teacher Workshops this fall. 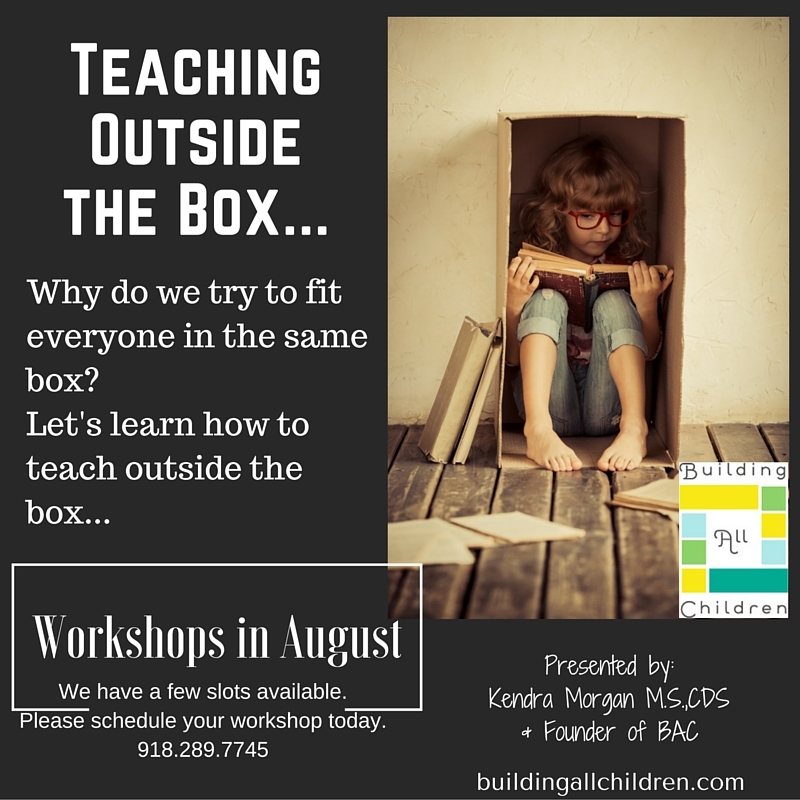 The title of the workshop is Teaching Outside The Box. Every child is uniquely made, so we plan to provide ideas and engage in active discussions on various teaching methods. We will discuss hands on activities and creative methods that can be implemented in the classroom to challenge the children’s learning every day. The training is offered at your facility. You don’t want to miss this opportunity! Please contact Kendra Morgan, at kendra@buildingallchildren.com to request a specific date and time. Please know that there is a small fee for the workshop but 100% of the fee goes to our non-profit program, Building All Children.